This was my favorite e-mail from this week. My dad served as a Sea- bee on the Islands of the Pacific. His older brother was killed on Guam. Many of us had parents who lived through WWII. On the last night of our trip, we stopped at the Iwo Jima memorial. This memorial is the largest bronze statue in the world and depicts one of the most famous photographs in history -- that of the six brave soldiers raising the American Flag at the top of a rocky hill on the island of Iwo Jima , Japan , during WW II. 'My name is James Bradley and I'm from Antigo, Wisconsin . My dad is on that statue, and I just wrote a book called 'Flags of Our Fathers' which is #5 on the New York Times Best Seller list right now. It is the story of the six boys you see behind me. (He pointed to the statue) 'You see this next guy? That's Rene Gagnon from New Hampshire. If you took Rene's helmet off at the moment this photo was taken and looked in the webbing of that helmet, you would find a photograph... a photograph of his girlfriend. Rene put that in there for protection because he was scared. He was 18 years old. It was just boys who won the battle of Iwo Jima . Boys. Not old men. So you take your class at school, 250 of you spending a year together having fun, doing everything together. Then all 250 of you hit the beach, but only 27 of your classmates walk off alive. That was Ira Hayes He had images of horror in his mind. Ira Hayes carried the pain home with him and eventually died dead drunk, face down at the age of 32 (ten years after this picture was taken). 'The next guy, going around the statue, is Franklin Sousley from Hilltop, Kentucky . A fun-lovin' hillbilly boy. His best friend, who is now 70, told me, 'Yeah, you know, we took two cows up on the porch of the Hilltop General Store. Then we strung wire across the stairs so the cows couldn't get down. Then we fed them Epsom salts. Those cows crapped all night.' Yes, he was a fun-lovin' hillbilly boy. Franklin died on Iwo Jima at the age of 19. When the telegram came to tell his mother that he was dead, it went to the Hilltop General Store. A barefoot boy ran that telegram up to his mother's farm. The neighbors could hear her scream all night and into the morning. Those neighbors lived a quarter of a mile away. 'You see, like Ira Hayes, my dad didn't see himself as a hero. Everyone thinks these guys are heroes, 'cause they are in a photo and on a monument. My dad knew better. He was a medic. John Bradley from Wisconsin was a caregiver. In Iwo Jima he probably held over 200 boys as they died. And when boys died in Iwo Jima , they writhed and screamed, without any medication or help with the pain. Let us never forget from the Revolutionary War to the current War on Terrorism and all the wars in-between that sacrifice was made for our freedom.. Remember to pray praises for this great country of ours and also pray for those still in murderous unrest around the world. STOP and thank God for being alive and being free at someone else's sacrifice. China---taking the global lead in dog culture. How do you get a starving civilization to stop eating dogs and give up desert? 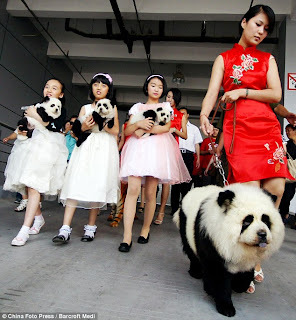 You make dogs look like Panda Bears. I'm starting to believe in 2012. Nobody Knows: Could this be Obama's real Mentor or long lost Cousin? 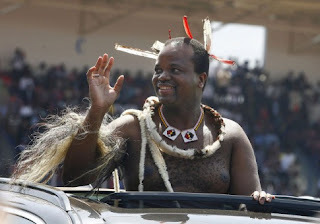 This is King Mswati III of Swaziland. He is worth 100 million dollars, and 69 percent of the people in his country live under the poverty line. He changed the constitution to say that no political parties are allowed in Swaziland. He has 13 wives and recently, a few of them went on a shopping spree and spent over 6 millions dollars. He sure LOOKS like a nice guy though? He's got that great smile down, just like his cousin. Can we compare? Obama lives like a King, and more than half the people in his country are in a nose dive to extreme poverty, due to his relentless polticies. He rules now with one party, which he intends, by using amnesty, to put into power for all eternity. Although he does not have 13 wives...(remember, it took us a while to find out about Tiger's 24) Michelle, his wife, has been known to spend a lot herself. She might only spend six $600 dollars for earrings, but nevertheless, I bet if you total her bills they would be well over $6 million dollars. And most of it is, of course, paid by the taxpayers. The salaries of her 27 aids alone would take up the first $2 million. Last week, Obama got mad at Al-Quada for killing Africans, a sentiment he did not show after the Ft. Hood killings. Nobody knows that I think Glenn Beck had it right in the first place. Obama, is a racist. Obama wants to redistribute all weath to the blacks, and the black and Muslim nation, and he got a good start today with the new bank reforms. I'm starting a makeup company to darken skin...forget the pineapples. Okay, the guy is not his cousin. But, they look like two peas in a pod, two porks in a grind, and two tyrants in a nutshell, don't they? Nobody Cares; Now that everyone is talking about how raciest everybody ELSE is, I thought it might be a good time to get off the subject of whites hating blacks, and blacks hating whites, and Muslims hating Jews, and men hating women, and Mel Gibson hating his old girlfriend who fell asleep at the wrong time, and Irish hating Protestants, and Mexicans hating old white gringo's and Glenn Beck hating Woodrow Wilson, and White Tea Party People hating Blank Panthers, and Black Panther hating White Tea Party people...and Obama hating just about everyone and everything that is not communistic, and dogs hating fleas, and nobody hating not having enough time in the day...and well...I need a break. And I got one tonight. While walking my dog under a crescent moon, I was stopped by a favorite neighbor, who showed me a box of little baby rabbits that he found in his back yard, and we shared an "awwww" moment under a hot summer night. Oh, and by the way...he is black. And neither one of us is raciest. If you believe what you hear all day long...you'd think everyone hated each other, and that you shouldn't go out on a hot night to walk your dog due to the dangerous heat, because you might get raped by a gang of black men who will leave you in the gutter to die of heat stroke. So, what should be much ore concerning than "race" at the moment is the economy. And I might need a job soon..so, tell me what you think. I'm thinking about growing pineapples in my basement, because I read that there is a pineapple being grown in a greenhouse which is heated by horse manure and urine soaked hay. And these pineapples go for $15,250 dollars a piece. So, I'll just use dog manure, and my husband and I can supply the urine soaked hay, (saving on our water bill) and tell me...who will know the difference? I will sell MY pineapples for just $10,000 a piece to undercut the competition. And to my dear neighbor, who was saving little bunnies...he will get my first one for just being who he is...a good guy. 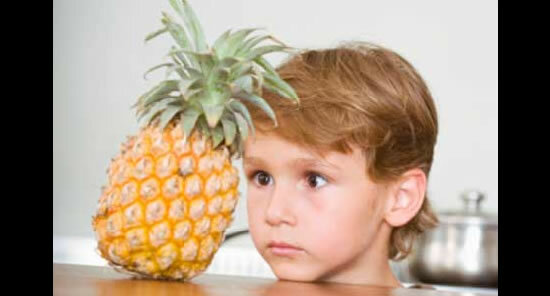 "Sticks and Stones may break my bones..but an expensive pineapples will never hurt me." Mel Gibson, has pretty much won the award for all time in the "chauvinist pig" department, thanks to his rather smart x -girlfriend...Oksana Grigoreiva. I say smart, because she taped his angry rants, and published them all over the world, and now her career will take off. In that respect, if that happens, Mel was right. He was being used and conned. But it sounds like he deserved it for being so arrogantly stupid. When I first heard the rant, being the great conspiracy theorist that I am, I almost thought it sounded like two "actors" ad-libbing lines in a movie. For instance, Mel, in the middle of his rant, says "she" as if he is talking to a third person. And who says things in the middle of a rant like-- "my first wife could not meet me spiritually?" in between the many f- words? Well, if the rant was real or a fake, it doesn't matter. Most people were...shocked, at how a man with so much success can blow it all in a nano-second with a narcissistic melodramatic soliloquy. The question here is: Which one of these two people is Cleo? It's been a hard year for us nobodies in the celebrity department. 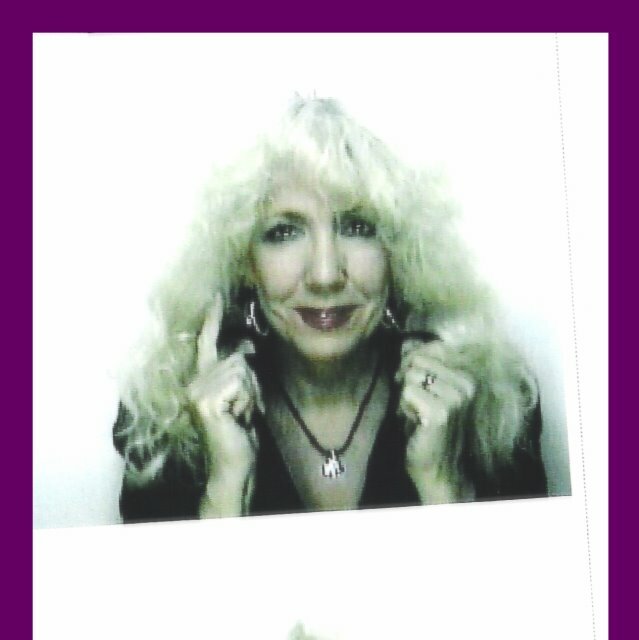 Than Paul McCartney,-- It wasn't too long ago that we watched Paul and his second wife fight it out in the tabloids. It had to be another embarrassing moment for the God-like Beatle, to have a woman marry him, then dump him, and get as much as she could after doing it. Especially after that expensive dream-castle wedding. But, --- many a women scheme. And when you have the man's child, you have...money for your future. Especially if the man is rich. You'd think these guys would know that. After being worshipped as a sexual god, it can a hard lesson to find out that you are actually no different than the many millions of nobodies that worship you. When love goes bad...sometimes it becomes a Shakespearian travesty of "payback." The feel of being betrayed by someone you give your life and fortune too, can be too much for many men to handle. And Mel Gibson was obviously blasted with that reality. He wanted a sexier woman, and he got it. His wife was growing older...and he felt he deserved more. The "hell hath no fury as a woman scorned" works both ways. While everyone is focusing on Mel's racial remarks, I thought it more important that it comes in the context of his insinuating that his girlfriend was dressing so provocatively she deserved to be raped. Sure, and we could say with Mel's attitude towards women, he deserves to be beaten up by a few very big and burly gay military women Navy Seals, in the back of a pick-up truck. Whoopi may be right...Mel is not a "racist." But he is suffering from delusions. He thinks he is superior to just about everyone on this planet, no matter who or what they are...and his world is falling apart. He is suffering from that, "I will never be the stud I use to be," and yes, he is going to die someday. Losing that ability to attract any woman in the room has got to be killing him. Probably. And that makes him an unforgivable coward. What is so bad about all this stuff is how it is going to affect the rest of us. Most men are not like Mel. Although, here in Missouri, most men call women the c- word at least once in every day. We all know many who do---it's very common. The black men call their women much worse. In that respect I think it's important to remember: We do have free speech, as much as we don't like what we hear sometimes. Mel had the right to say whatever he wanted to...he thought it was a private conversation, and any decent person would have hung up on him, but she was enjoying the trap. Mel will now join Tiger Woods in being the "bad" men on the planet, and their examples will be used forever to further liberal cases for how women should rule the world and that...is NOT a good thing. This image that women are either angels or whores has always been a bad thing for society. And it's has been many a good man's downfall. Too bad it had to be Mel Gibson to set the worst example. But hey...there's always Dubai, Mel. You would fit right in. Nobody's Opinion: Who Knew? I want to know, just when did we agree to pay for this? Is THIS where the stimulus money is going? Like I said...shock me--- get me a blanket. Bring me some water. Be gentle, I'm having a hard time getting up. I saw my first "Citizens Patrol Car" today. It looked just like a brand new police car, but it was missing the usual local "internationally accredited" logo on the back. I had to turn around twice...I could NOT believe my eye. "Oh MY GOD...Oh my God! Citizens are patrolling in AMERICA!?" And I thought, "How clever. While we have all been paying attention to the gulf oil disaster, look what Obama has gone and done. He has been quietly putting in another one of his agenda's toward a police state...Citizens on Patrol. The camera's are just not enough to watch the good "citizens" of the United States, oh no...he has gone and done what he promised...put "volunteers" ...basically, no more than a mild-mannered and well behaved KGB force out on the streets, to "help" the cops. We now have "citizen spies." The book 1984 will soon be banned, and we're all going to hell. But you have to wonder...is he getting ready for his riots? With the economies getting worse, and the gatherings of tea parties, black panthers, communist, La RAZA...Is that why he is putting in this "Obama" volunteer police force? Some of us think Obama is fanning the racial flame on purpose. Why else would he send his wife out to the NAACP to claim the tea party people are big racists while ignoring the "kill the white babies" rants of the Black Panthers? Yes, we must remember how we all ignored his wish for a "citizens " police force. When he was campaigning we all just went, "Huh? Oh...that sounds...naawwww." So, what do they do? You can look it up. Just Google "citizen patrol" and you will find them in cities all over the United States. If you are older, you get to drive around and play big guy, helping the poor police do things like watch neighborhoods, for anything suspicious. I guess since there will be no jobs for the dwindling older American citizen, they just had to find something for them to do. And if the states go bankrupt, and start laying off cops, and firemen, why the good citizens will step right up and do the job! And they are selling this program as being "helpful." That's how they sell us everything. That's how they pushed universal health care...it's all for the common good. And think back: At first, Hitler had Jews monitoring their Jewish neighbors...remember? Among your jobs, if you happen to volunteer to be on "citizen patrol" are "Vacation Home Checks and Welfare Checks." Welfare Checks? What? Will they be delivering welfare checks by patrol car? Do you see how dangerous this is? You will depend on a "citizen patrol guy" to find your check? And then maybe your Social Security Check? Or even your paycheck? The baby boomers, who have just been rationed to the dust bin, will of course, get nothing for their service. BUT ---If you are a young student, then 40 hours of volunteer "citizen student patrolling" gets you credits to graduate. How nice! You might need an education in intimidation in your next government job. Of course, you can't just join up. You have to finish a small class which includes crowd control. I want to know who is paying for all those cars? Drones. Over American cities. They are already talking about it. But none of us are paying attention because we are all wondering why it only took 3 days to cap the oil spill, but it took them a whole 92 to finally decide to do it. This is Obama's dream...remember? He said he wanted a civilian police force. He also just recently said in his immigration speech, that he couldn't understand why nobody believed that he would do all he said he was going to do. Well this nobody believes it. 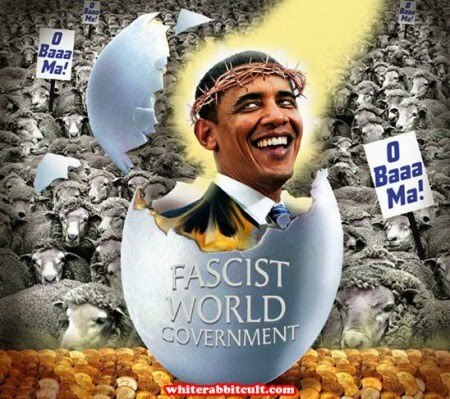 Welcome to the new land Obamaland of the free, America. How do we fight this creeping fascism? Do not volunteer to patrol anything, but your own life.